This is a guide about combining coupons. If you take the time to get organized with coupons and rebates before you shop, you can save a lot of money. Coupon stacking is when you use a store coupon and a manufacturer's coupon on the same item, which typically results in a very reduced price once they are both applied. 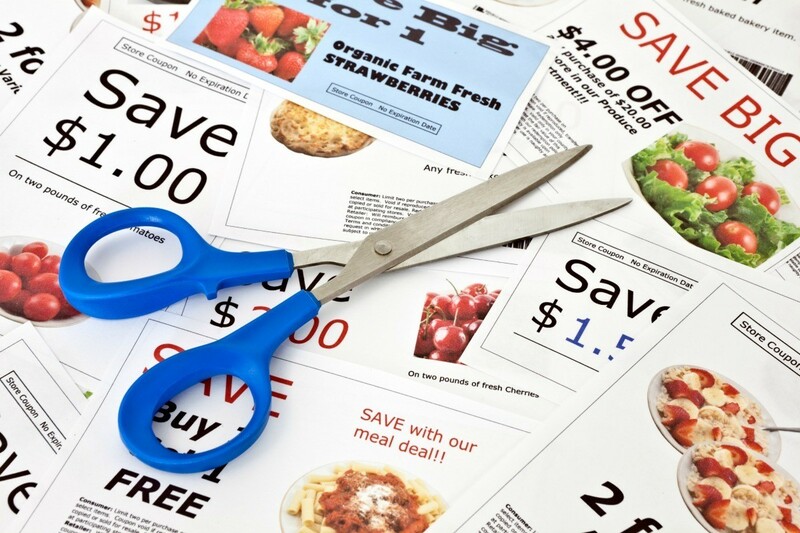 Here are some tips for how to best combine coupons. Did you know that store coupons can be used along with manufacturer coupons on the same item at the same time? For example, Target had a store coupon for Colgate toothpaste for $1.00 off. I also had a manufacturer coupon for $1.00 off. When I bought the toothpaste which sells for $2.49, I use both coupons at the same time and paid only 49 cents. Thanks for the info. I did not know this was allowed. When stocking up for toiletries, I find Rite Aid to be a good store. They have all these rebate sales, where the product ends up being free (or close to it). This week they have 4 pack Bic razors on sale for $4.99, the newspaper has a coupon for $2. You enter the receipt on the rite aid site and they will send a check for $2. The total cost of the razors is .99 cents - that's .25 cent a razor. You can get their ad free at the store or go the website to see what the months deals are. I find it very easy to use. Sounds like a good frugal idea! I don't think we have Rite Aid in our area. I will go to their website to see. Here in the Chicago area, it's CVS, Osco and Walgreens. Did you know you can use 2 coupons on the same product? Yes, a "store" coupon and a "manufacturers" coupon can be combined. For example, Walgreen's has a coupon in their flyer for Listerine (this is a "store" coupon). From the Sunday paper, you've clipped a coupon for Listerine (this is a "manufacturer's coupon). You can use both of these coupons for the same bottle of Listerine. There are some exceptions, so you may want to speak with the manager before you do your shopping. Hum, you don't say? Well I always thought you couldn't combine coupons. Many times I've even seen that in writing about only one coupon per item or some such thing. I would think that it should work tho. 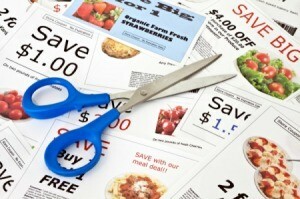 Don't be afraid to "stack" coupons by combining manufacturer coupons with store coupons. Most stores (Target, CVS, and Walgreens, for example) will allow you to do so. I've been able to purchase $25 worth of items for approximately $5 using this method. I've been trying to find the answer to this one: I've been learning how to power coupon shop. There are groups that tell how to stack coupons at such places as Walgreen's. Well Walgreen's has a sales circular that will have a coupon in it (this is a store coupon) then you can stack a manufacturer coupon. Does anyone know if there happens to be a store logo on these manufacturers' coupons, can I still use these as a regular coupon or does this logo make it store specific? The coupons in the Walgreen's ad are Walgreens store coupons, not manufacturer's coupons. You can only use these at Walgreens, unless you know of a store that will match or beat a competitor's price with coupons. You can use a store coupon and a manufacturer's coupon at most places to "stack" coupons. Most but not all stores do this but as far as coupons go it can be hit or miss on a store by store basic. It is a good idea to either ask your store manager ahead of time or many of the stores have official written coupon policies available online that you can print in case you have a new cashier unfamiliar with coupon policies. A manufacturer's coupon will have fine print at the bottom with retailer instructions on where to remit for reimbursement. A store coupon does not have this. To further complicate this there are coupons that have a store logo but also say "manufacturer's coupon" on them. (coupons at Target.com for instance). They say manufacturer's coupon but have a Target logo. You supposedly can use these at other stores since it is a manufacturer's coupon but it is up to the non-Target store whether they take them or not. I have read online that some places will and some won't. I don't do it. There are coupons in this week's RiteAid ad that have a Rite Aid logo on them but say "manufacturer's coupon" on them. The barcode does not start with a 5 or 9 and they say "good only at Rite Aid". So these are not good at other stores, unless you have a store that will price match another stores offers.